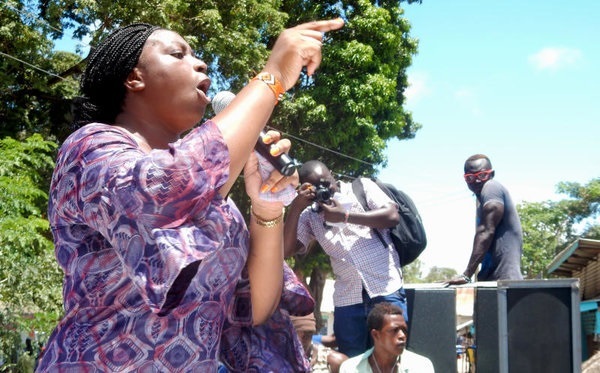 Tuesday October 23, 2018-Malindi MP, Aisha Jumwa, has congratulated Orange Democratic Movement (ODM) party leader, Raila Odinga, after he was appointed African Union’s High Representative on Infrastructure and Development of Africa. The 73-year-old leader will, on behalf of the AU, be visiting with heads of state and governments as he pushes the infrastructure agenda. He joins an elite club of former Presidents, Prime Ministers and Generals who have been appointed as special envoys of the AU chairperson. Among those appointed by the AU chairman is former Mozambican leader Joaquim Chissano, who was made Special Envoy for Western Sahara. Following his appointment, Jumwa who is an ODM rebel wished Raila Odinga well as he assumes his new role. “We wish him the very best in his endeavours as he takes up his new role," Jumwa wrote on social media.